TOPIK 2 Essential Grammar 150 is a Korean grammar textbook for TOPIK 2 learners who are preparing for the TOPIK 2. 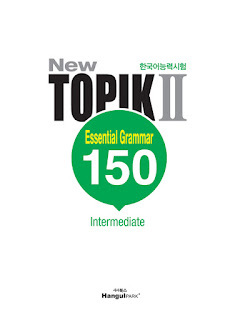 Especially, this book aims to help study grammar that often appears on TOPIK and check one's level with sample questions in a short period of time. - Check student's grammar level with sample questions. - Easy to memorize the grammars before TOPIK.